Tim Tech Consults: refers to Tim Tech Consultants,Africa-Uganda. located at P.O. box 2766 Kampala,Namugongo Road, Home and office complex building, 2nd floor room B1. Site and Web Site: refers to www.timtechconsults.com, owned and operated by Tim Tech Consults. The information on the Site shall be used for general informational purposes only and should not be relied upon or used as the sole basis for making decisions or as a legal representation or warranty from Tim Tech Consults. Tim Tech Consults is not responsible if the information available on this Site is not accurate, complete or updated. The information on the Site is intended to provide general information of a particular subject or subjects and it is not an exhaustive treatment of them. All Content is of the exclusive property of Tim Tech Consults, its affiliates, its licensors or its content providers and is protected by intellectual property and other applicable laws. User is allowed to access, copy, download and print the materials contained on the Site only for personal and non-commercial use, provided that such materials as well as any copyright or trademark notices are not modified or deleted. Any other use of the Content, including without limitation, the reproduction, modification, use, publication, broadcast, uploading, transmission, posting, distribution, licensing or the creation of derivative works from the Content, is strictly prohibited. Tim Tech Consults reserves all rights not expressly granted herein or on the Site. 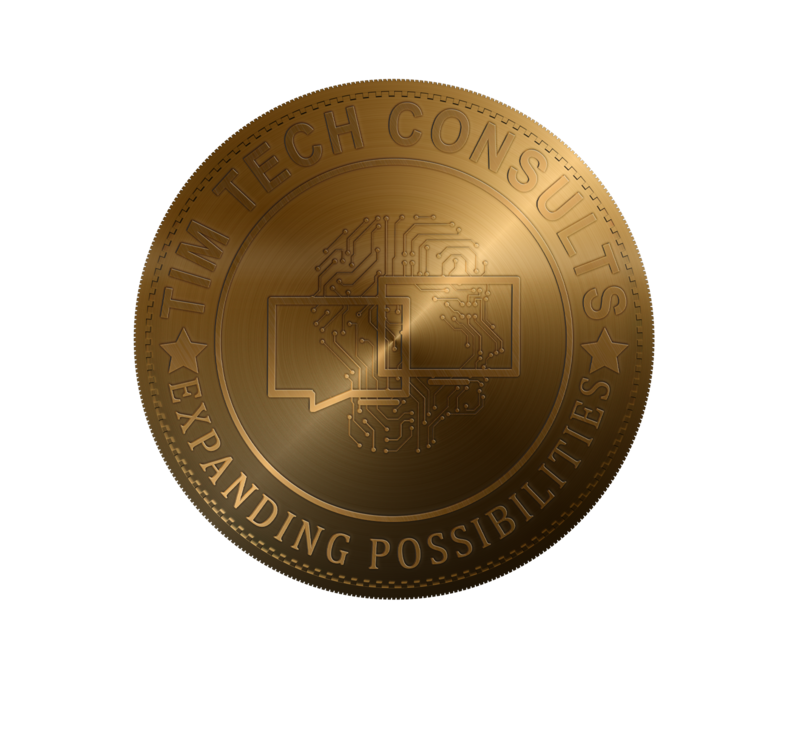 Tim Tech Consults® and its logo are registered trademarks of Tim Tech Consults. This trademark and any other trademarks and service marks that are part of the Content shall not be used in any manner without the prior written consent from Tim Tech Consults. Nothing on this Site shall be construed as granting any license or right of use of any trademark within the Content. Use of the Contact Information. User shall not use contact information provided on the Site for any unauthorized purpose, including marketing, without the previous written consent of Tim Tech Consults. Some features on the Site require registration, which might imply that you provide us certain Personal Information. Your Personal Information will be obtained, used, stored and, in general, treated according to the Privacy Notice that will be made available to you. By registering at the Site, User agrees to provide true, accurate, current and complete information and Personal Information about himself/herself. At registration, User has the option to choose to be contacted by a representative of Tim Tech Consults, by any of the means entered in the registry form. Therefore, upon electing such option, User agrees to be contacted by Tim Tech Consults, however User acknowledges that choosing such option does not create an obligation for Tim Tech Consults to contact the User. User agrees that any submission of materials or communications via the Site by the User, including any comments, data, questions, suggestions or anything alike, is submitted on an unrestricted, nonexclusive, royalty-free, perpetual and irrevocable basis and will be treated as non-confidential and non-proprietary. User shall not submit any material or communication that is obscene, defamatory or that its delivery constitutes an infringement or breach of any third party right. Tim Tech Consults has and maintains the necessary security measures for the protection of the Personal Information provided by the User to prevent its loss, misuse, alteration, thief and unauthorized access. Notwithstanding the above, the User shall be aware that the Internet security measures are not indefeasible and therefore the User shall consider that Tim Tech Consults does not guarantee that its Personal Information will be free of loss, misuse, alteration, thief and/or unauthorized access, including damages for the misuse of the Web Site or virus in the net. Cookies are pieces of information that a website transfers to an individual hard drive for record-keeping purposes; passwords are not saved in cookies. Cookies help Tim Tech Consults to know which pages are visited most often and help Tim Tech Consults to ensure that its Site responds to users' needs. If User does not wish to receive a cookie, or if User wishes his/her browser to notify when receiving a cookie, User may use the option on the Web browser to disable cookies. Click on the 'help' section of the browser to learn how to change cookie preferences. However, please note that if User disables all cookies User may not be able to take advantage of all the features available on this Web Site. Tim Tech Consults does not use personal identification details transferred through cookies either for promotion or marketing purposes, nor will such information be shared with a third party. All Content on the Site is provided on an "as is" and "as available" basis. Tim Tech Consults expressly disclaims all warranties of any kind with respect to the Content of the Site, whether express or implied, including, but not limited to, the implied warranties of merchantability and fitness for a particular purpose and any warranties that materials on the Site are non-infringing, as well as warranties implied from a performance or dealing course. Tim Tech Consults reserves the right to modify the Contents at any time but does not assume the obligation of updating any information on the Site. Tim Tech Consults does not make any warranties or representations regarding the use of the materials on this Site in terms of their completeness, correctness, accuracy, adequacy, usefulness, timelines, reliability or otherwise. Tim Tech Consults shall not be liable for any damage to User's computer system or loss of data resulting from the download of any Content, materials, or information from the Site. In no event will Tim Tech Consults be liable for damages of any kind, including without limitation, direct, incidental or consequential damages (including, but not limited to, damages for lost profits, business interruption and loss of programs or information) arising out of the use of or inability to use the Site, or any information provided on the Site. Tim Tech Consults may terminate User's access at any time for any reason. The provisions regarding the disclaimers of warranty, accuracy of information and indemnification shall survive such termination. © Tim Tech Consultants. 2018.